In time, we reckon the Citroen BX will be remembered as one of the truly iconic cars of its era. It was uniquely styled, conventional enough to appeal to the mainstream and quirky enough to still call itself a proper Citroen. It was also one of the very first cars to make diesel appealing to the masses. 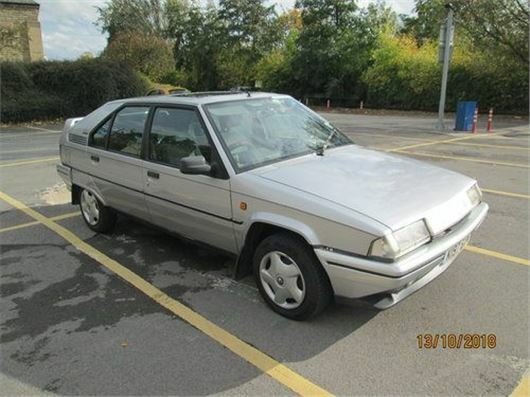 Indeed, throughout the late Eighties and early Nineties, when petrol-powered French cars were among the fastest depreciating on the market, the BX turbo diesels held their value better than a Volkswagen Golf, such was the strength of their reputation. This week’s pick of the small ads is a car that, back in the Nineties, would have been hot used car property. It’s a BX TZD, the best-specced diesel BX, and despite having 211,000 miles on the clock (barely run-in, you could argue) it’s in fine fettle, with an owner who clearly known his away around them. On the plus side, new spheres, new tyres, a recent battery, new brakes and a long MoT are all things that suggest there’s plenty of life in it, while on the downside a slight radiator leak and a sealed-up sunroof are openly declared in the advert. But the best bit? It’s a mere £395. That’s a good price for any car with nine months’ MoT remaining, let alone one as quirky or interesting as this. A true bargain.